It has been a busy week here at Madison B-cycle. 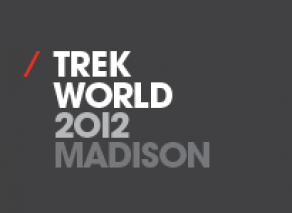 Our team is diligently working on one of our largest events of the year; Trek World. This annual convention is held by Trek Bicycle, who will be unveiling the latest and greatest products for the upcoming year. As you may recall last year Madison B-cycle held our grand unveiling at Trek World, when we unloaded 75+ bikes on the Monona Terrace. Well this year we wanted to make another big impact on Trek World by giving each participant a demo membership. Now you may be wondering how this will affect you, the B-cycle user. Since Trek World brings in vendors from across the country and globe, there will be an increase of around 1,000 members in our membership pool. This will lead our B-cycles to be in a higher rate of usage than normal. But do not fret our Madison B-cycle team has taken measures to ensure that all of our users will have easy access to B-cycles when, and where they need them. To keep updated on all Madison B-cycle happenings, make sure to follow us on Twitter and Like us on Facebook!